Who hasn’t fallen in love with an older Italian home, or a stunning view, and wondered if it could be renovated into something gorgeous? (Read about one couple who are in the process of renovating a home near Brindisi.) But getting a survey would be very wise, however old the property, and however beautiful! A technical survey is not a mandatory document in order to buy a house in Italy. However, some lenders will insist on a survey by an expert (Perizia) before approving a loan. The lender will mainly want to know that the valuation (valutazione) shows that the property is worth the asking price. 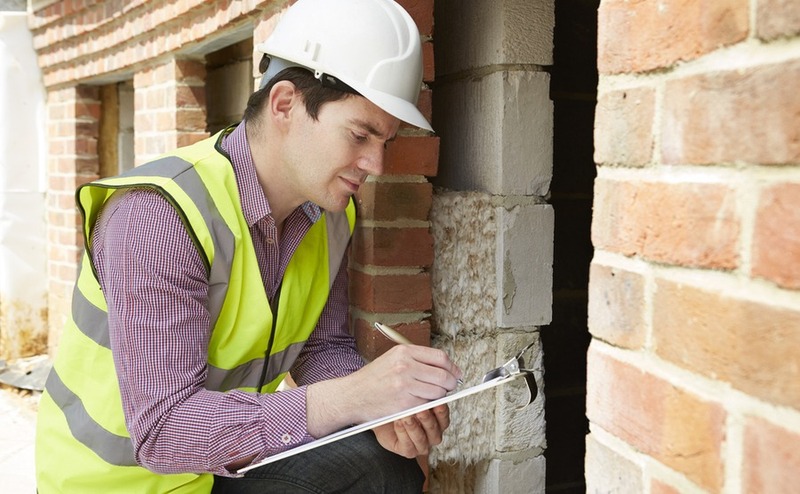 For your own peace of mind, it’s a good idea to have a detailed structural survey done, to give you a better idea of the state of a property. As building materials, ground conditions and building regulations can vary from region to region, I’d recommend getting a local qualified expert to give you their opinion before proceeding to buy. When you put an offer on a house in Italy, make sure that any pre-contract agreement states that it is conditional to the survey. This is especially important if you are taking advantage of one of the many cheap deals on derelict Italian homes. When you first view a property there are certain things you should look out for yourself that may flag up potential problems that need repair, reconstruction or replacing. For some things you may want to call a professional tradesman to take a look and give you an estimate. For example, a builder, roofer, electrician, plumber etc. When viewing, take your time, make notes and video. Firstly, make a careful inspection of walls, floors, ceilings and windows inside and out. Keep an eye out for cracks, water damage, mould, rotting wood and pest damage. Try and see the roof from above and below. If not accessible, arrange for a ladder for a future viewing. There is a big cost involved if you discover the roof needs replacing. If you suspect it might, get a roofer to come along and have a look before making an offer. Other things to ask about are the electrics, heating and plumbing (if any). When were they installed? Is there adequate wattage and sockets for your needs? How is water supplied to the property and how does it exit the bathrooms? Country properties are so popular with overseas buyers, and may have an artesian well and septic tank. If not you may want to get a quote for getting these done. 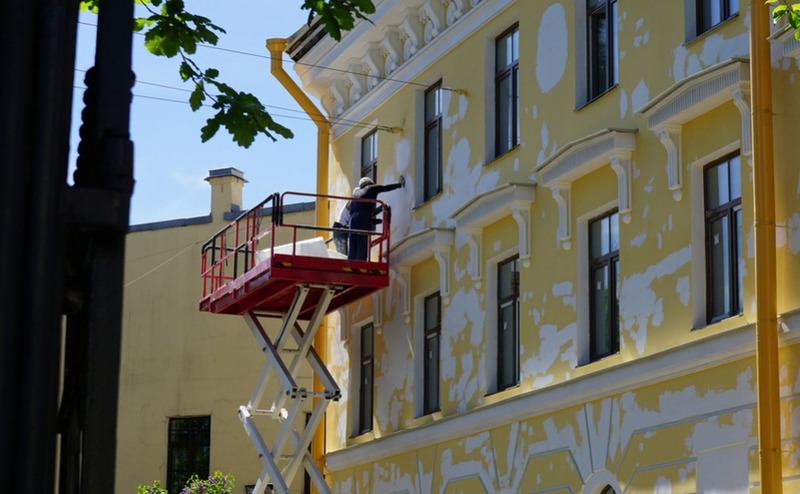 When considering the purchase of a property requiring renovation, it is totally reasonable to obtain quotes and price up the whole job before making an offer to the seller. The survey information can be a good tool when negotiating the price. You may even find that it is just not worth the expense or goes way above your budget, in which case just walk away. Difficult, I know, when you think you have found your dream home, but there will be another one. So the survey has thrown up some major faults requiring repair. What next? You still love the house, but you should be able to knock the cost off the price. If you’re worried about your haggling skills, read our free Negotiation Guide. Many people get a Geometra to do the survey and value the property. They will also provide a quote for getting planning permission and an estimate (stima) of the restoration costs. The job title Geometra is often translated into English as surveyor, and some people even think they are similar to an architect. In reality, they are a person with many hats. I met a Geometra on the plane to England once. He was hoping to get work in the UK and was asking me what he should put on his CV as his occupation. But, there is no equivalent job title in the UK. He described his work experience as, “surveying a property, evaluating what work needs to be done, estimating work costs, preparing plans and specifications for small renovation works (like extensions), and requesting permits from the municipality.” All Geometras will claim to have the best contacts at the Municipal offices to get the plans through quickly. The Geometra would also check if the property is registered correctly with the land registry and that the cadastral data is correct. (It is very common for there to be parts of the property that were built without permission.) He would even check that the seller had certificates showing that the gas, water, and electricity were up to standard. His work didn’t even stop there. He would also evaluate quotes from contractors and check the work at various stages. Indeed he would, basically, act as a project manager for property buyers who couldn’t oversee the work themselves. The cost of a Geometra can vary greatly depending on how much work is involved after you’ve made the purchase. They may do an initial free visual inspection in the belief that you will then feel obliged to give them further work. They will then charge you handsomely down the line. Ask other expatriates in the area for recommendations and get a few quotes in writing. Make sure the quotes detail everything, to avoid extra costs springing up down the line. You may want to request an inspection by an engineer (ingegnere) if you are looking at an old building. Especially if it’s located in an area that has a history of seismic activity or landslides. The engineer will be able to tell you if the building is standing firmly or has any hidden defects that may be too costly to put right. An architect (architetto) may be the person to go to regarding construction quality and compliance to building regulations when looking at a new/modern building. Also, if you hope to extend the property extensively or build further buildings. Too busy to find the perfect house? Our free Italy Property Hunter service will save you the legwork. Many old homes will have some defects due to their age. It’s important to be aware of these before you buy. You can then work it into your budget. It’s also a good bargaining point when making an offer. Not getting an expert survey can be a false economy and cost you dearly later on. Seismic reinforcements, a new roof, replacement windows and rebuilding a cracked wall are all big expenses. Make sure all quotes are in writing. List every detail of work to be carried out and ensure they’re agreed in writing. Many buyers underestimate the cost of renovating a property and rely on guessed estimates by estate agents and the seller. Not getting an expert survey can be a false economy and cost you dearly later on. This is a survey that reports on the condition of the structure, plumbing, electrics etc. It can be carried out by a registered architect, geometra or engineer. It will determine whether the property is worth the asking price, and will be stamped and signed. In this type of survey the surveyor will take responsibility for the contents of the survey. It will include the phrase “sotto la propria personale responsabilità”. Even with a good survey, don’t risk buying without a trusted property lawyer. Having helped buyers over 15 years we can put you in touch with the very best lawyer to ensure your Italian property purchase is completely safe. This goes one step further, whereby the “perizia asseverate” includes an oath made in front of a registrar and Notary. The surveyor is swearing to the truthfulness of the survey. In Italian it should read “di aver bene e fedelmente adempiuto all’incarico affidatogli al solo scopo di far conoscere la verità”. 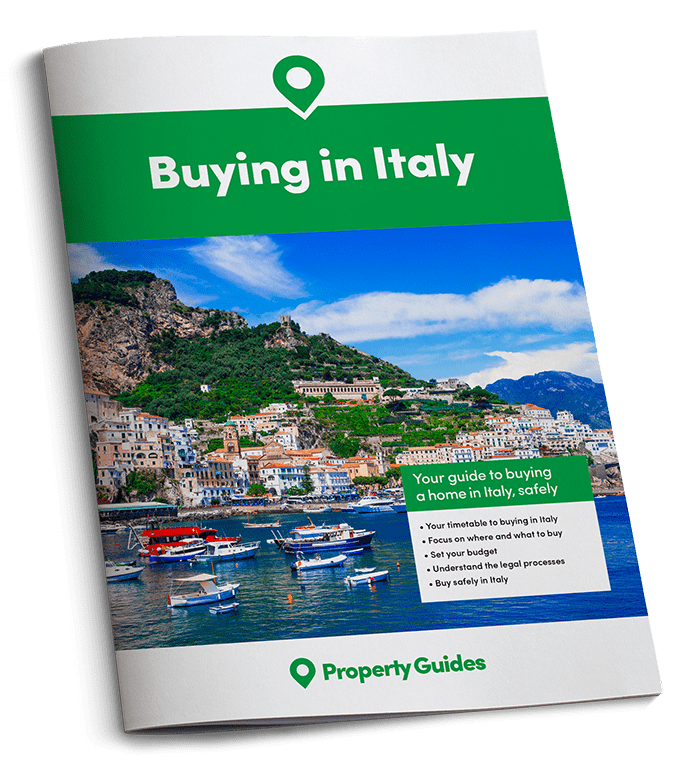 Purchasing a property in Italy can be an exciting experience and it’s easy to get carried along by the charming estate agent and his friendly building contractor cousin. But, remember, you are the one holding the money; money that they want a part of. Finding out later that you have unexpected extra expenses will put a real dampener on your Italian experience. By doing your research, listening to the experiences and recommendations of other expats, and getting written surveys and quotes, you’ll go a long way towards ensuring you have no expensive surprises. Then you can be happy with your Italian house for years to come.